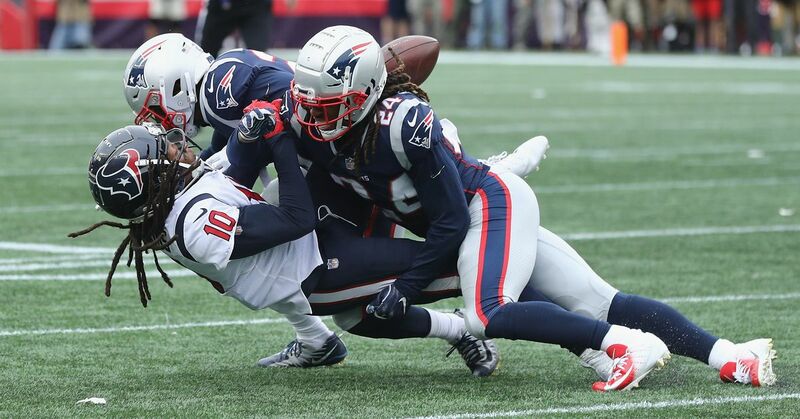 The New England Patriots entered the weekend as the third seed in the AFC playoff race. However, they will have a good chance of securing a first round in the postseason as today's matches were perfect for the team: Not only the Patriots defeated the Buffalo Bills 24-12 to win the AFC East for the tenth year in a row They also saw the Houston Texans against the Philadelphia Eagles 32: 30. The Patriots are now sitting in the driver's seat to hold their own against the Texans in the first round playoff round by beating the Texans in the first round. And as it is right now – with the Chiefs (as well as the Steelers) not having to play this week, seed number one is technically still possible if it's highly unlikely. Apart from that, New England has yet to win another game to actually lock up the Bye week on the Texans. while the Patriots hosted the New York Jets next week, the Texans are going against the Jacksonville Jaguars. The way to the second start is easy for New England: win and you are. And considering how good the team is at home compared to traveling (7-0 or 3-5), the first leg in the divisional round would be huge. Today's games have helped to get there. Welcome to the Pats Pulpit Live Postgame Show! The Patriots won their 10th AFC East title in a row today with a victory over the Bills. Send us your questions and comments!